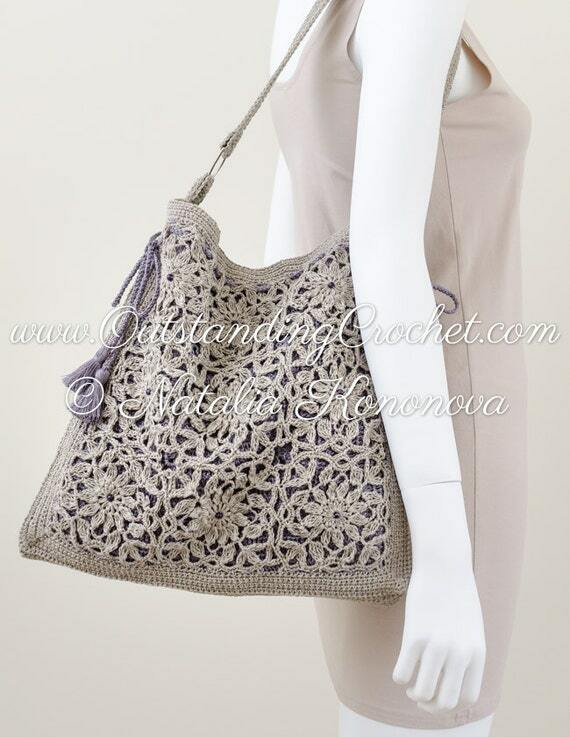 Outstanding Crochet: New crochet pattern in my shop - Square motifs shoulder bag. 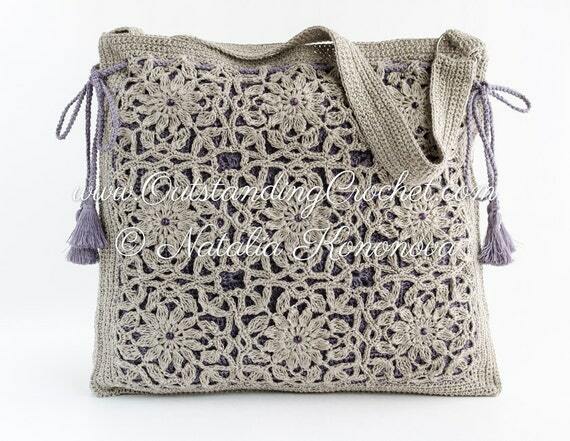 New crochet pattern in my shop - Square motifs shoulder bag. You can fin all info on this pattern by following link below pictures. I'd just say it's 27 pages file for the bag with 79 step-by-step pictures, charts and instructions. 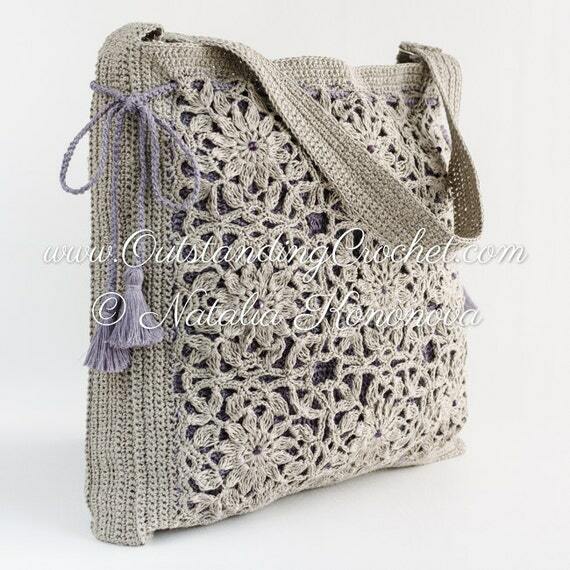 There is also separate step-by-step photo-tutorial on how to make a Romanian Cord drawstring with tassels. Enjoy and happy crocheting, my friends! All details at my web-site pattern page here.